We are leaving here with drugs..
Laughter bonds people together and it burns calories...win-win. Book Dorie for your next special event and get both. Her down-to-earth, mom-who-needs-coffee, non-neat-freak approach to comedy will have your group in stitches. Literallly. Get good insurance. Dorie put on a great show and was a pleasure to work with! Thank you so much! I enjoyed being a part of what the city of Carrollton is doing for the community! 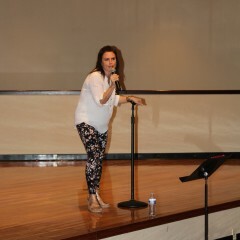 Our Women's event was a huge success thanks to Dorie. We all had a great night of laughter and fellowship. Everyone is ready to do it again. Thank you Dorie! Thank you, Amber! Your ladies were a blast! It was such an honor to be a part of the special night! Dory was a pleasure to have at our meeting! She was not only professional but she has such a sweet spirit about her! She’s funny and completely relatable. We had a moms group and she had us laughing and feeling relaxed! We would have her again for sure! Thank you...it was so great to be there! Your ladies were so warm and friendly, such a great group!! Dorie was pleasant and professional, and very easy to work with. The senior center members at our Mother's Day Brunch were entertained and enjoyed her performance. It was a fun and relaxed morning, with Dorie's help! Thank you so much, Pat..it was a joy to meet you and your ladies! We are so grateful for the humor brought by Dorie. 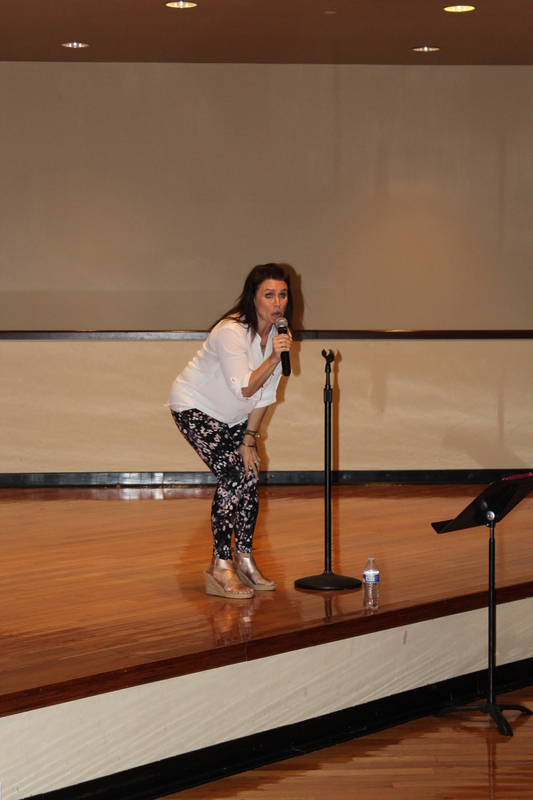 Our event went smoothly, she was such a pleasure to host and we left with a good ab workout from all of the laughter. I would highly recommend her. Thank you, Judy! I had an incredible time with your ladies..what an honor to be part of such a special, fun night! Dorie was so nice in person and had a great personality that really came alive on stage. 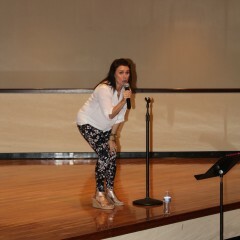 She was very animated and consistently had something for everyone in the audience to laugh about. I would highly recommend her for any event. Thank you, Roxanne! It was an honor to be a part of your Ladies' Tea..loved it! Dorie was perfect for our event! Clean adult comedy that was perfect for our crowd which ranged from young adults to older. Dorie's comedy was very relatable and hilarious! Would highly recommend! Thank you! It was such an honor to be a part of your fundraising event for an incredible cause..what a night! 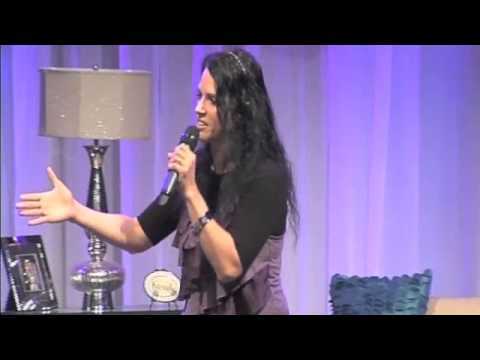 Dorie is an entertainment speaker for primarily Christian events and has performed at church services, Girls’ Night Outs, banquets, conferences, camps, fundraisers, retreats, MOPS meetings, in corporate venues, and more since 2006. 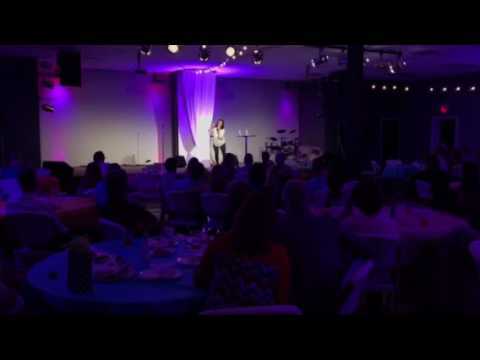 She has had the honor of sharing the stage with other comedians and speakers across the country such as: Renee Swope, author/radio host from Proverbs 31 Ministries, author Alicia Britt Chole, author Judi Braddy, author Jean Chapman, singer Gail Kreason, and comedians Bone Hampton, Cleto Rodriguez, Kerri Pomarolli, Anjelah Johnson, Scott Wood, and others as well as performing from coast to coast on her own. 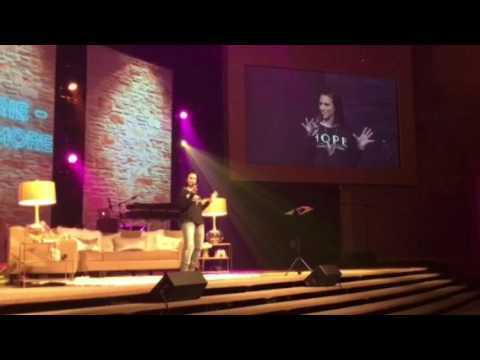 She also travels and speaks with Sisters United Ministries, doing women's events and retreats. 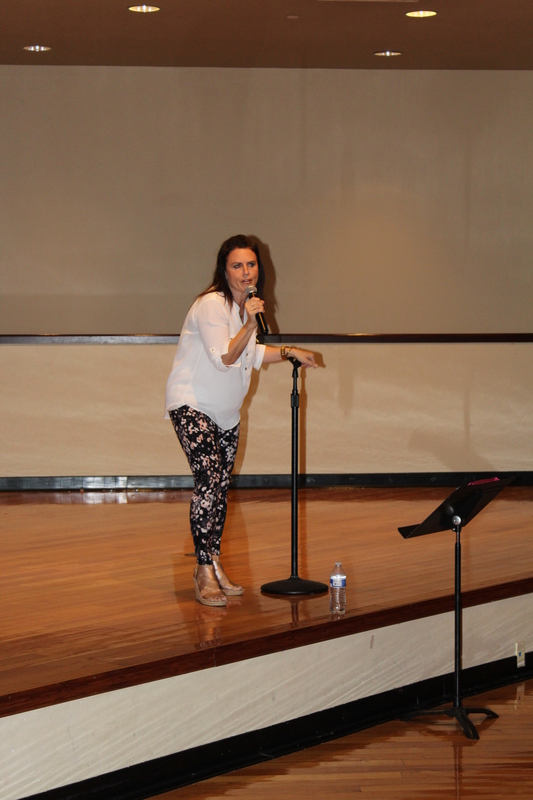 As part of the Christian Comedy Association, she recently performed for Tim Hawkins, Thor Ramsey, Michael Jr. and a few other of her comedy heroes. Her biggest name drops, though, are her three kids, Brendan, Makenna, and Kayley, who provide way too much material and husband/Bible-college-sweetheart, Bryan, who puts up with us all. 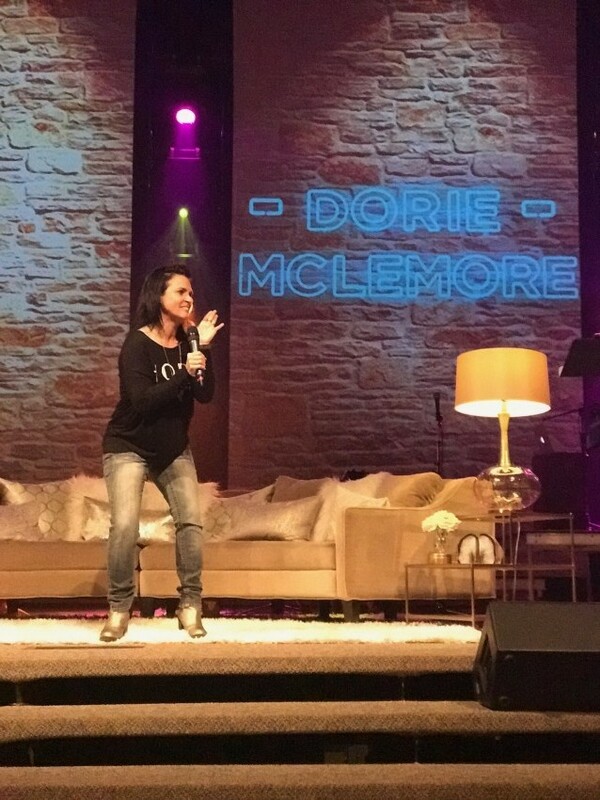 Dorie’s desire is to use her comedic act to minister to her audience through times of fellowship, outreach to the community, or to allow God to heal wounds through a time of laughter and testimony. She is also a licensed minister. Her claim to fame: falling backwards out of the bathtub while washing her children and being featured on “America’s Funniest Videos,” allowing herself to be publicly humiliated every time it re-runs for no money whatsoever.